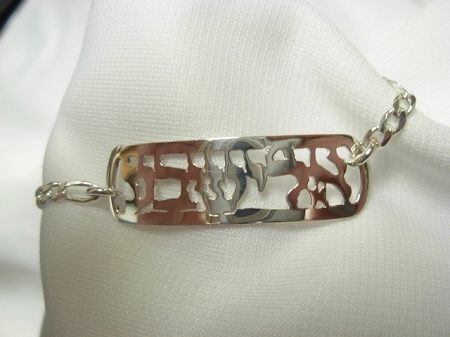 Custom Jewelry - We create custom Hebrew and English names or phrases like the bracelet shown here. This sterling silver bracelet can be created in any size. Also available in 14K gold. Sterling silver custom name bracelet. Available in Hebrew and English.